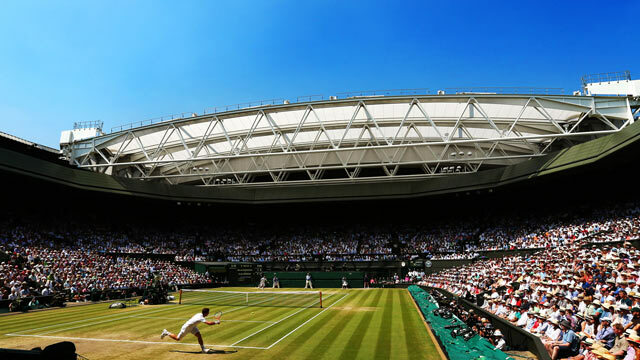 Wimbledon – Follow the Tennis match between Simona Halep and Su-Wei Hsieh live with Eurosport. The match starts at 13:00 on 7 July 2018. Our live coverage lets you follow all the key moments as they happen. Head-to-head: see historical stats and visit our detailed profiles for Simona Halep vs Su-Wei Hsieh. Get all the latest on Tennis: fixtures, results and tables. The top seed Halep is the latest big name to tumble out of the first week at SW19. Su-Wei has never previously been beyond the third round at Wimbledon. HALEP OUT! - HALEP 6-3 4-6 5-7 HSIEH: What an incredible set which lasted over an hour. Su-Wei saves a break point then glanced at the heavens when she put a serve into the net on match point. But she recovered her nerve after Halep, who earlier spurned a match point, put the return into the net. REVIEW: Yesterday was a dramatic day at SW19, could we see a repeat today with Halep now 5-5 against Su-Wei in the third set..
HALEP 6-3 4-6 5-4 HSIEH: What a titanic tussle this is. Su-Wei has won the last three of the last four games including a break to give her a lifeline. HALEP 6-3 4-6 4-1 HSIEH: Simona Halep breaks again to lead, what a top turvy set this has been in the scoring heat on Court 1. And she holds onto her serve in the next game. The serving from both players has been erratic but they have made up for it with their ground strokes. HALEP 6-3 4-6 2-1 HSIEH: The Romanian shows her mettle by breaking Su-Wei early on but the Taiwanese hits back with a break of her own and has a chance to level things up. HALEP 6-3 4-6 HSIEH: Simona Halep is pegged back by the impressive but unorthodox Hsieh Su-Wei and we will have a decider. HALP 6-3 2-3 HSIEH: Hsieh Su-wei breaks in game three to give herself a great chance of levelling matters. She give Halep a few testing service games in the first set and has gone one better with a break in this set. HALEP 6-3 1-0 HSIEH: Halep takes the opening set on Court 1 in comfortable fashion and keeps up the momentum by winning her opening service game in the second set. HALEP 4-2 HSIEH: The Romanian top seed leads after securing a break against Hsieh Su-wei.